Don’t you just love sweet contemporary romance? 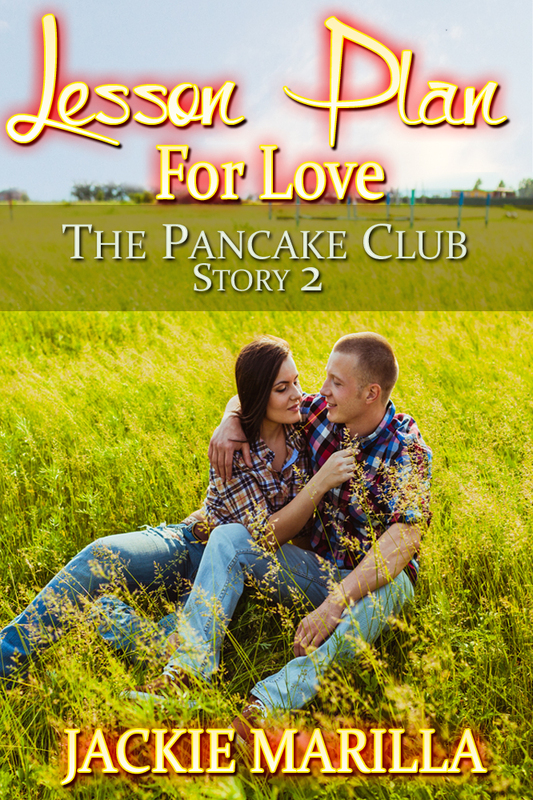 My newest release, Lesson Plan for Love, Story Two of the Pancake Club Series, takes place in a small town where everyone knows everyone else’s relationship woes. As soon as Chad Granger thinks he’s exhausted every prospect of finding a woman in Mercy Ridge, the new third-grade teacher shows up in town and rents a cabin on his parent’s farm. He’s immediately attracted to the hippie-like woman who appears to be the exact opposite of his former girlfriend. Kristin Warner is conflicted about her attraction to Chad, but convinces herself there’s nothing wrong with nurturing a friendship between them. Not quite ready to share her secret, she refuses to go out with him with a brief explanation that she isn’t ready for a boyfriend. When Chad discovers why Kristin won’t date him, he faces the toughest decision of his life—to close his mind to her or open his heart. Mahalo to Leanne for hosting me today. Thanks for stopping by today, Chris. Sounds like a fun series! Best of success! Lorrie – The series was a lot of fun to write. Hope you get a chance to read it one day. I want to know her secret!